If you’ve been on a trip to Outer Mongolia then it may have escaped your notice that we are having a mega fundraiser in less than three weeks time. If you haven’t been on said trip then you’ll have no excuse for not knowing every in and every out of our event. First and foremost, the date. It’s on Sunday 13th April. If you’ve got any other plans for that day then we suggest you change them! We need you with us from 3pm. Seriously – it’s the only gig to be seen at in town that day (although a few thousand runners might tell you otherwise!). And where have you got to be? 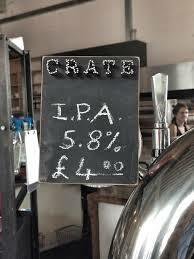 Why Crate Brewery of course. You can take a stroll there along the canal, or if you’re coming from further afield then Hackney Wick overground station is literally (and we actually mean literally) a couple of minutes away. We’ll be in the brewing shed at the back. Come and find us before we drink all the beer! Admin over; want to hear what’s going to be going on? Say yes, say yes! * There’s going to be a bar (it is in a brewery after all), selling Crate’s finest beer plus more. * Because there’s going to be cake, naturally, and lots of it, sold by the slice, either to eat there or take away with you (or both). We haven’t called it THE CAKE EVENT in all caps for nothing! * And while you sip and munch there are going to be stacks of new, as well as lightly used, cookbooks for you to browse through and buy, if you can’t resist. Cookbook addiction – it’s a thing! 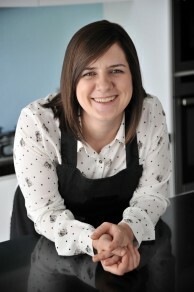 * From 4pm we’ve got an awesome chef demo stage, headlined by none other than MasterChef 2013 winner – and, we might add, Free Cakes for Kids Hackney’s patron – Natalie Coleman. Elliott Lidstone from the Empress in Victoria Park is going to be experimenting with stinging nettle and beer cakes, and Hayley Edwards of Borough Market fame is going to be showing us how to decorate cupcakes like pros (we’ve been promised glitter!). Plus we may have a few more tricks – or rather chefs for our star line-up – up our sleeves, but we can’t give all our secrets away in advance. *The lovely women over at Wicked Women WI are going to be putting on a tombola (roll up, roll up! ), as well as a guess the weight of the cake competition and a pin the tail on the Easter bunny game. * Oh, and there’ll be a raffle, with rather a lot of amazing prizes, including meals out, oh and a Mulberry purse. Yes, you heard us correctly! * Plus, if you like beer and cake and have a bit of a creative mind then we’re hoping you’ll enter our *beer-inspired cupcake contest*. 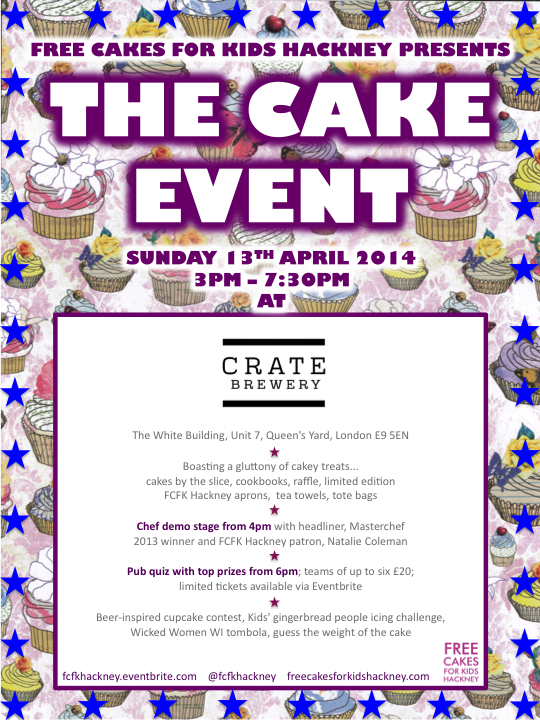 Don’t forget, you’ll need to make your cake in advance and bring it on the day to be judged. We’ll have our clipboards and freshly sharpened pencils ready to give marks! * And we haven’t overlooked the kids – this is a family event after all. They will have the opportunity to ice their own gingerbread men and women, or colour in a cake, which should keep them busy for all of, what?, five minutes, until you have to bribe them with cake so that you can stay for another half! * There will be limited edition FCFK Hackney merchandise, including our tote bags, aprons and all-new teatowels, to buy too. * And, finally, from 6pm, it’s pub quiz o’clock. The last time we checked there were only four team entry tickets left so if you want to prolong your festivities with us past 6pm then enlist your mates and sign your team up.